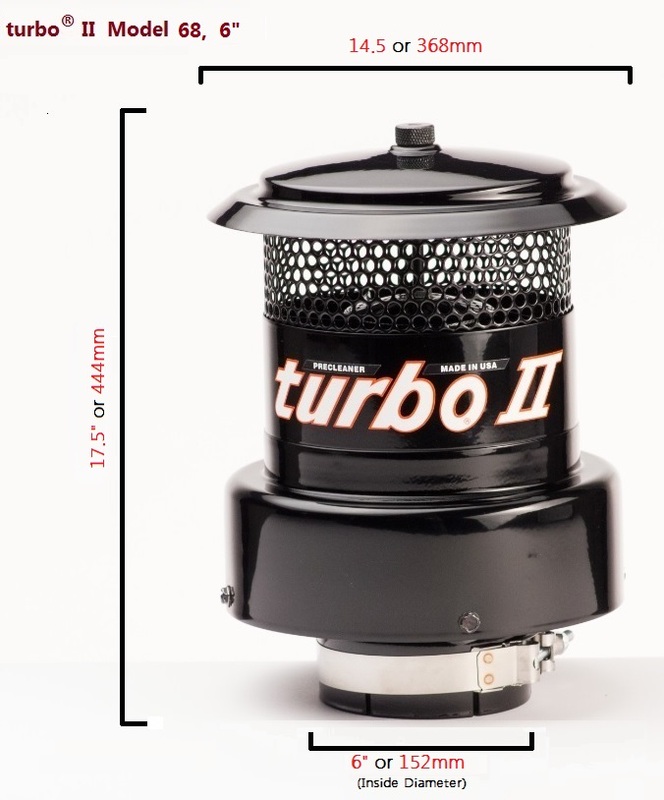 turbo® II performs it’s job in the toughest environments day in and day out. The unique design is all about preventing micro-abrasive dust from entering the machine’s engine creating cleaner air to prolong the engine life. 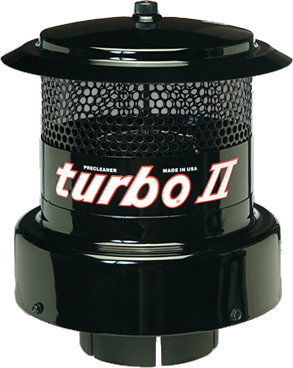 turbo® II is the industry standard precleaner by which all precleaners are judged. 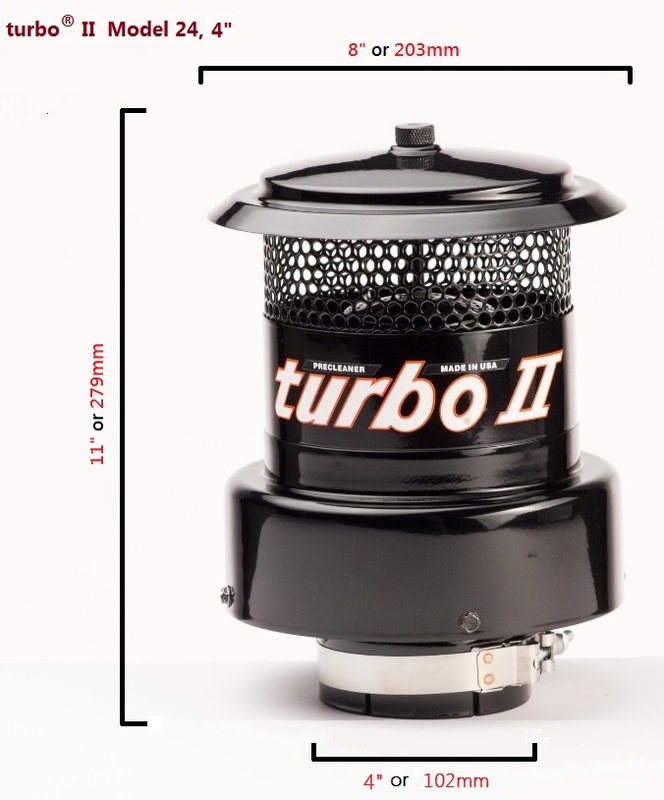 Competitors typically use “REVERESE AXIAL” designs. 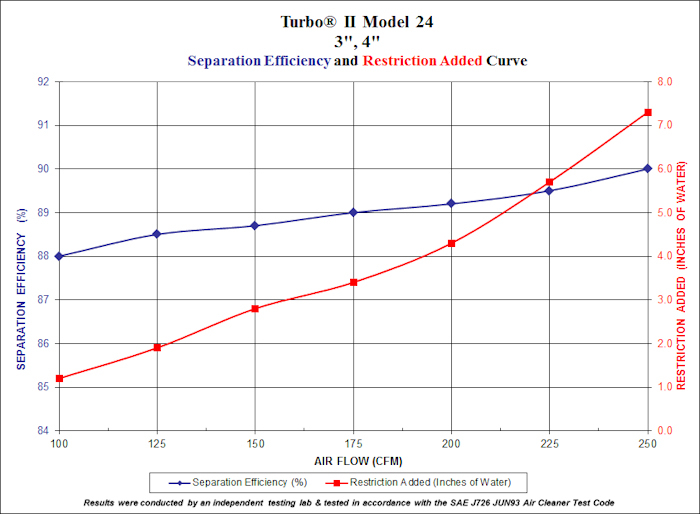 This means that the air is drawn in through the base of the unit and then must make a “U” turn which adds restriction and reduces the power of the engine. 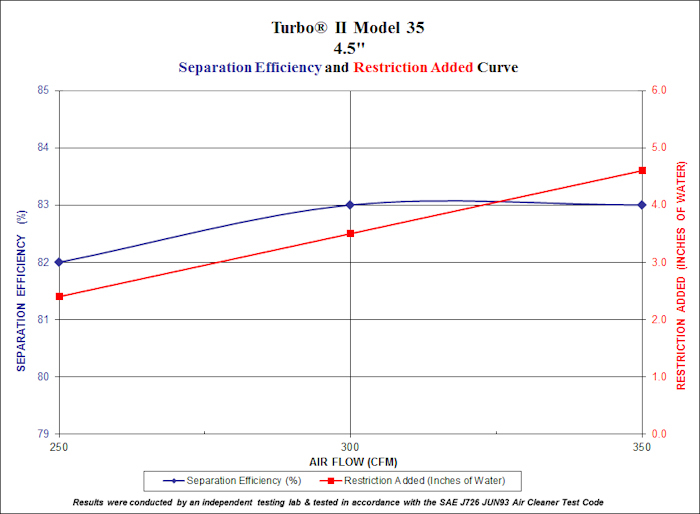 Additional restriction to the engine will cause the need for more frequent engine filter replacements. 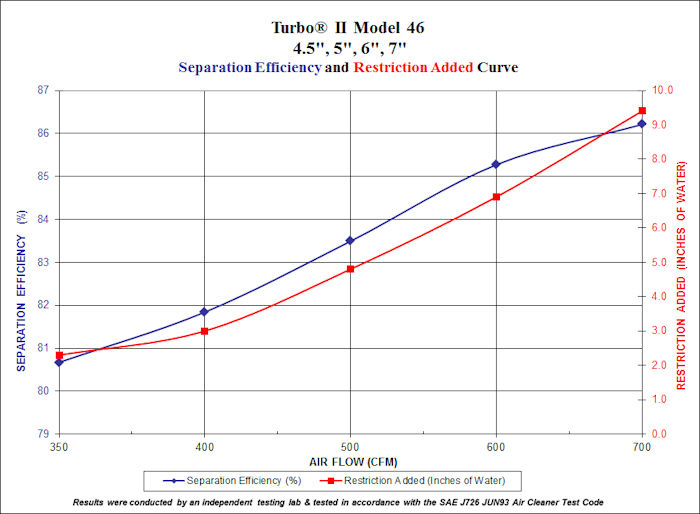 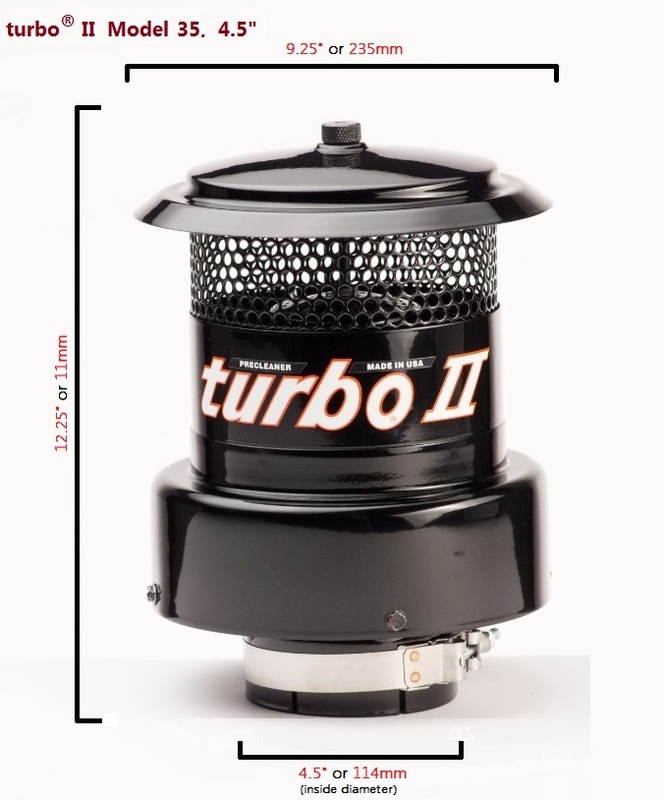 turbo® II is currently manufactured in four sizes and covers a CFM range from 100 to 1100 CFM. Additionally turbo® II offers a similar model made out of high strength glass-reinforced polymer that is lighter in weight and easier to install, the turbo® III.